Here at iMedicalApps, we are strong believers that mobile technology can make a significant, measurable, positive impact on medical education. From the enhanced visuals for anatomy, to medical journals, to the proliferation of interactive textbooks such as those offered by Inkling and more recently, the iBook. 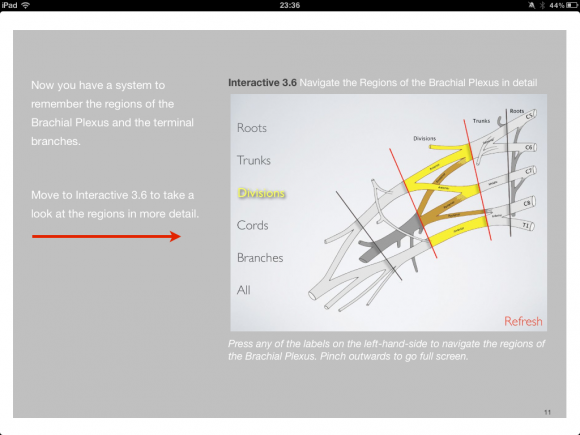 One of the first medical iBooks was prominently featured on iMedicalApps and highly successful in demonstrating the power of Apple’s iBooks Author as a platform. 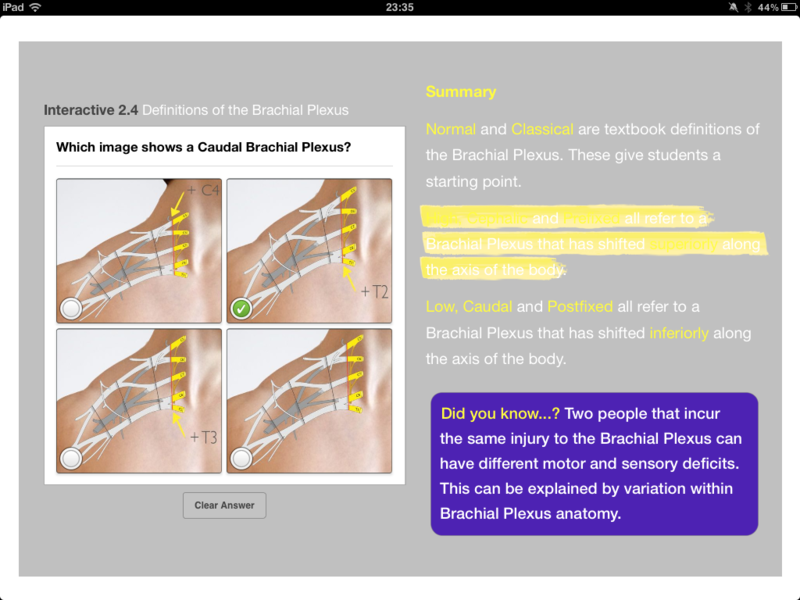 iMedicalApps is pleased to announce that another free medical iBook created by UK medical student, Stuart Stewart, is helping prove that interactive iBooks can make a measurable difference. 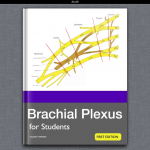 His iBook on the subject of the Brachial Plexus. The efficacy of the iBook was tested by creating an experiment using the pre-test/post-test study design. 26 anatomy students agreed to evaluate the resource. They were given a pre-resource test containing 8 Multiple choice questions(MCQs). They then used the iBook for 30 minutes and finally took a post-resource test containing 8 different MCQs which were matched with level of difficulty as the pre test. Improvement scores were measured which were found to be statistically significant (p = 0.0004). 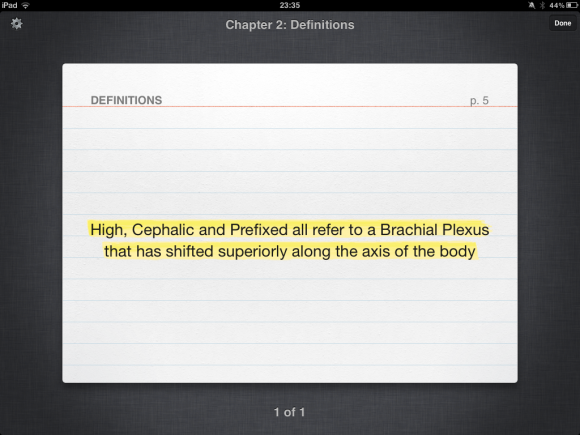 Read on for more details regarding the specifics of this iBook and how to download it for free! The aim of this iBook is to help students learn and understand the structure and function of the brachial plexus by guiding the reader through four key areas. There is extensive use of interactive content throughout the app in the form of videos, question sessions in addition to the options offered as part of the iBooks app. 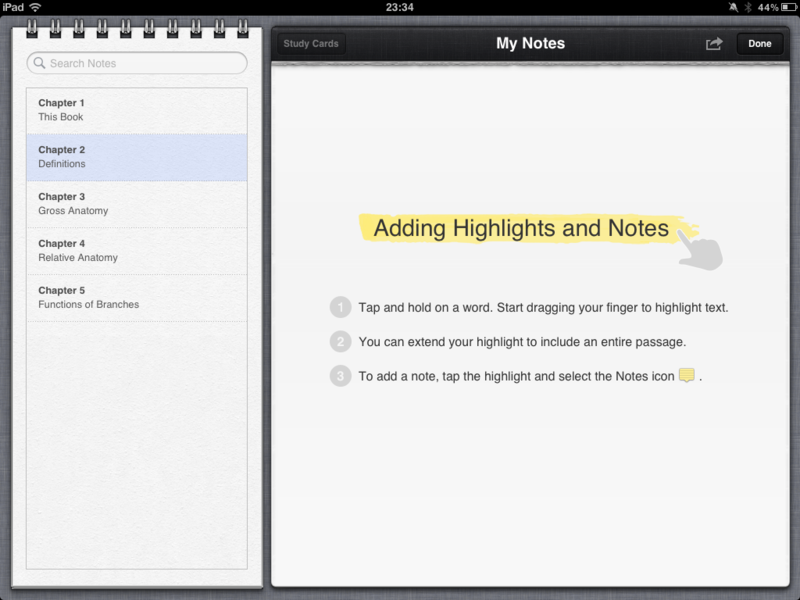 This includes the ability to highlight passages, make notes or generate study cards based on material within the iBook. Each section usually consists of five pages which give a concise overview of the material covered. 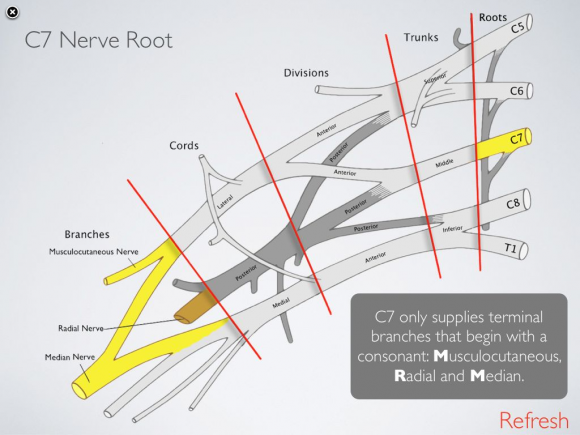 The level of detail is basic but an ideal introduction for medical students who are trying to get to grips with the basics of the brachial plexus. I felt after reading this short iBook that my knowledge had definitely been reinforced with this direct targeted approach. The diagrams and interactive content within the iBook are to be highly commended. They look extremely professional and there are plenty of them to help aid understanding. This is impressive as the lack of open source pictures has previously been identified as a potential minefield for would-be iBook authors. iBooks offers a useful ability to make interactive content full screen and there are moments where an audio explanation accompanies the visuals. 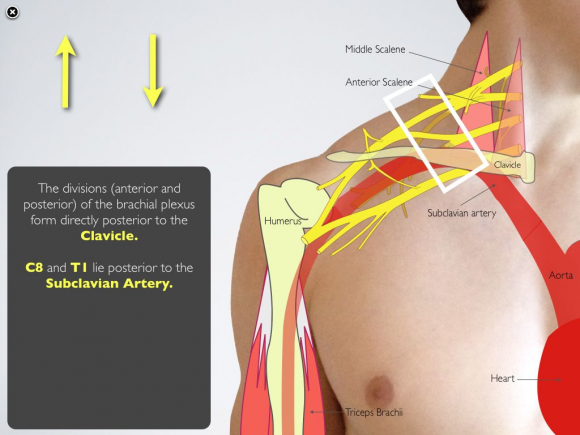 This iBook is currently being reviewed by Apple, but the author, Stuart Stewart, has graciously allowed iMedicalApps readers to download it via this post. 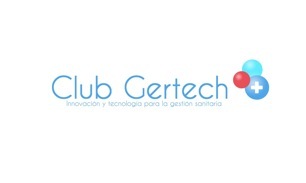 Please click here to register (free) to view this exclusive content! If you are on a computer then you can download it and drag it into iTunes or alternatively, if you are on an iPad, then click on the link and then ‘Open in iBooks’. Please note you will need the latest version of iBooks to display this iBook properly. Alternatively, US users can follow this link to download from the US iTunes store. Note, once you register on iMedicalApps, you’ll see a link to download the iBook in the above paragraph. Let us know your thoughts on this iBook in the comments!